Every once in a while, a big idea comes along which is breathtaking in its audacity, scope and simplicity. 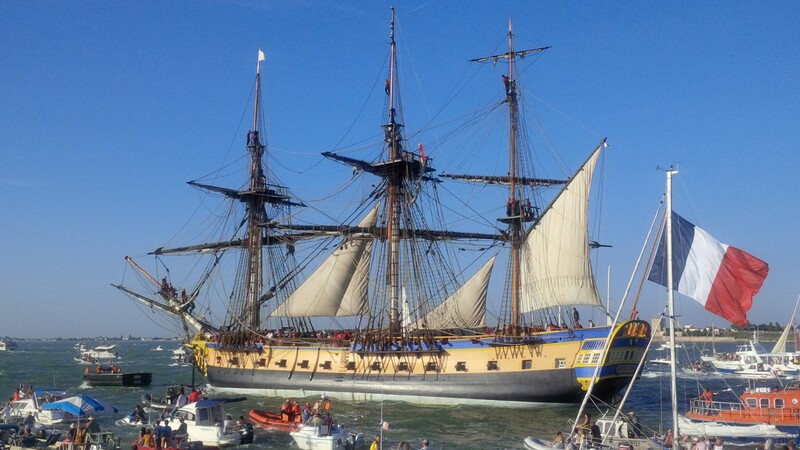 Welcome to the story of Hermione, the replica of the ship that took Lafayette over the Atlantic to the Americas in the War of Independence against the British. Why am I so struck by this – given it’s a ship that fought against my country? Well, for one, this is about more than a ship, more than a war – it’s about friendship, understanding, history renewed and brought into life for all to see. Hermione is not just any ship. She is perhaps the most perfect example of handcrafted, authentic Tall Ship building in the past 150 years – the purest of tall ships. 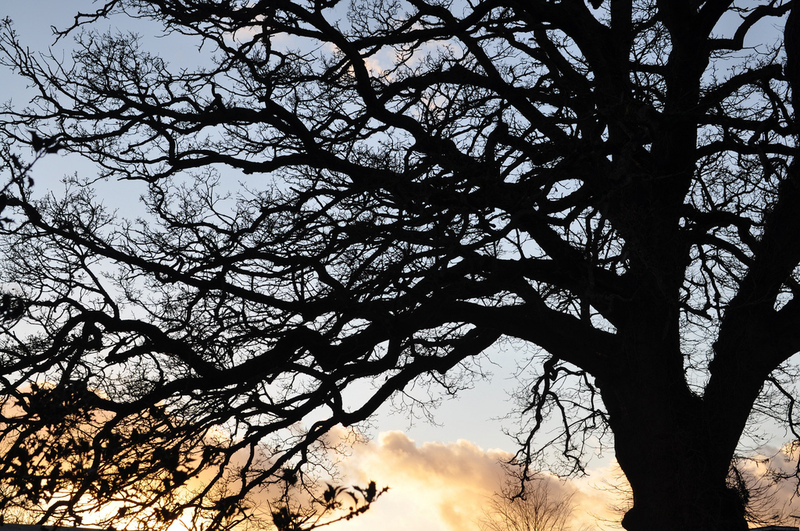 She is a living museum, breathing life into the sleepy Royal Dockyard of Rochefort – invigorating the community bringing revenue and visitors in equal proportion.She even won a highly commended by the British Guild of Travel Writers recently. 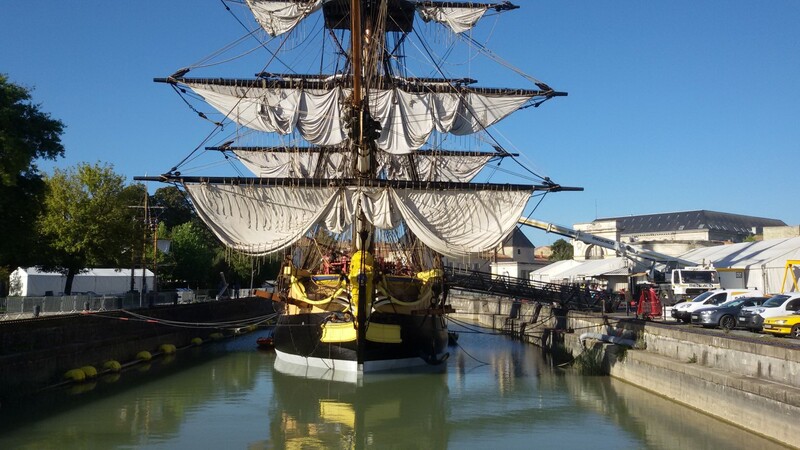 She was built from French plans offered by the British, painstakingly put together by craftsmen and women from across the globe and will sail to America this Saturday 18th April on a voyage that will take 27 days. 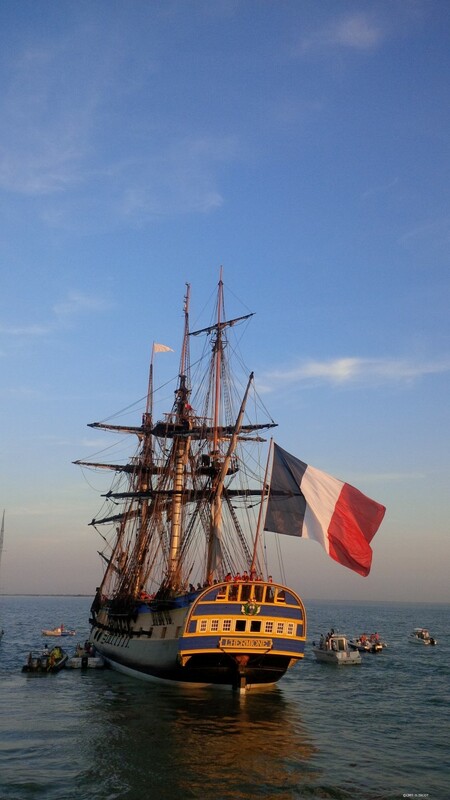 You can follow her progress on this website, by twitter (@HermioneVoyage), on Pinterest, on Instagram and on Facebook/Hermione Voyage. You can even become a social media ambassador for her, to help spread a message of peace and understanding across the waves. 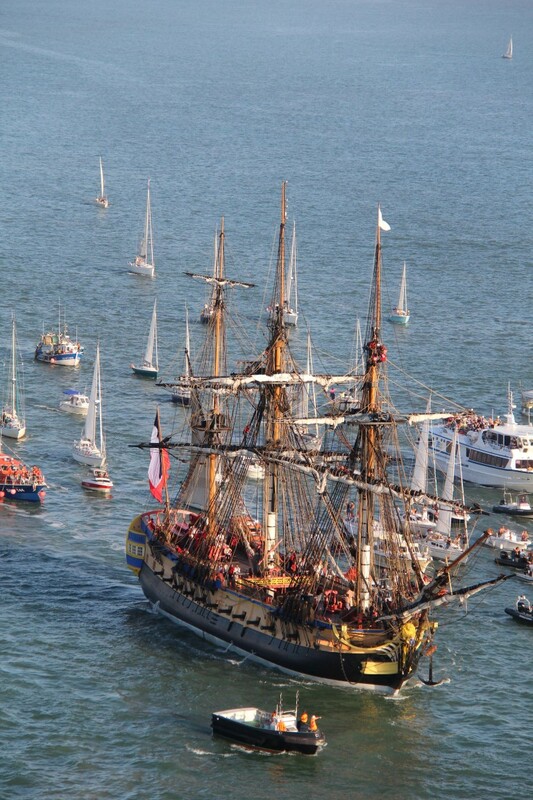 When she returns, around 27th August, she will resume her duties as a living museum in Rochefort, occasionally popping out to take part in the Tall Ships Races. 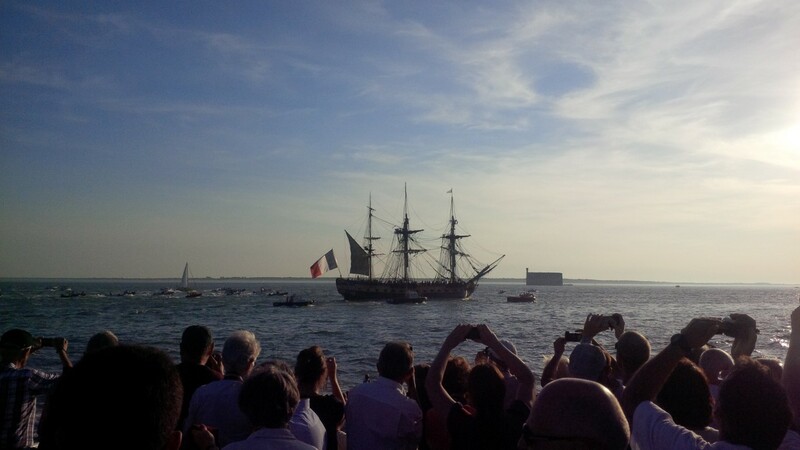 I come from the Dockyard town of Portsmouth (who shared the plans) and have been honoured to have been invited to see Hermione’s progress from blocks of wood to a living and breathing ship of the line. As a proud Portsmuthian, HMS Victory is my ideal vessel, followed by HMS Warrior and the Mary Rose. But – and am whispering this here – Hermione comes close, very close, to my heart. 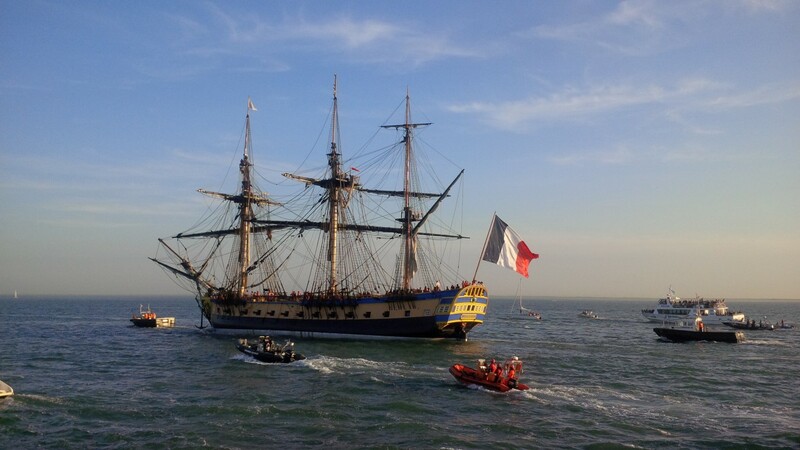 Bon voyage, chère belle Hermione – bon voyage.